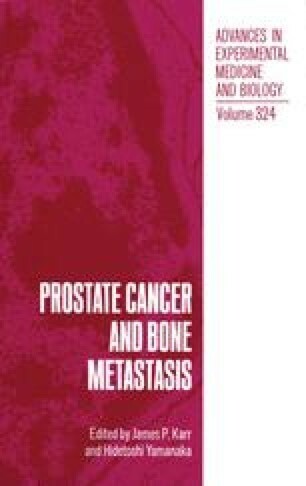 Metastatic prostate carcinomas in autopsy cases from three populations 49 cases of indigenous Japanese, 29 cases of Japanese Americans and 14 from whites in Hawaii) were compared in terms of their clinicopathological, immunohistochemical (tenascin and ras p21) and lectin binding (Helix Pomatia antigen, HPA) properties. Only the clinicopathological features were analyzed in the cases of whites in Hawaii. The results indicate that poorly differentiated carcinoma is less common, whereas distant metastasis is more frequent, in indigenous Japanese. Some of the Japanese-American cases with poorly differentiated carcinomas did not show any distant metastases. HPA and ras p21 expression are more common, but tenascin is less common in indigenous Japanese. HPA expression is more common in cases with metastasis, especially with metastasis to the bone and other organs, than nonmetastatic cases. Prostatic cancer cases in indigenous Japanese were more aggressive biologically than those in Japanese Americans, but no phenotypic differences were seen relevant to the presence or absence of bone metastases.